Stocks are on sale. The market's sharp pullback should have investors excited instead of doing their best Chicken Little impersonation. You read that correctly. While your heart may be telling you it's time to get out of the market, panicking while stocks are plunging has historically been the wrong thing to do. Time and time again, savvy investors like Warren Buffett and the late Sir John Templeton made a killing by purchasing bargain stocks after big drops. Templeton was famous for saying that his investing philosophy was to buy when others were "despondently selling" and sell when others were "avidly buying." The trouble is that many stocks that have fallen on hard times have done so for very good reasons. A cheap stock might be too good to be true -- the market's version of the house that Tom Hanks and Shelley Long bought in "The Money Pit." To avoid getting caught in one of these, I ran a stock screen with some nifty software from FactSet so I could find high-quality companies trading at outlet mall prices. Related: When will companies stop hoarding cash? How to find the bargains: Now I realize that not everyone has access to such tools. Fortunately, there are several great stock screens you can use online for free. The Nasdaq has a really solid one that's powered by Zacks. A site called Finviz.com has a good one too. The finance sites of both Google and Yahoo also have such tools. And if you have an online brokerage account, there's a good chance that you can access one there too. I encourage any long-term investor to play around with some screens. Looking at raw data eliminates much of the emotion that can cause you to make bad mistakes. For my screen, I started by looking for companies that are technically in a bear market. They are at least 20% below their 52-week highs. I then made sure that the companies have relatively little debt and also pay dividends. Strong balance sheets and a willingness to reward investors with cash payments is a sign of quality. I also set up the screen to find companies trading at reasonable valuations (a price-to-earnings ratio of less than 15 based on earnings estimates for 2015) that should also be able to post healthy levels of profit growth. Here are some of the companies that made it through my vetting process. 1) Time to go on autopilot? 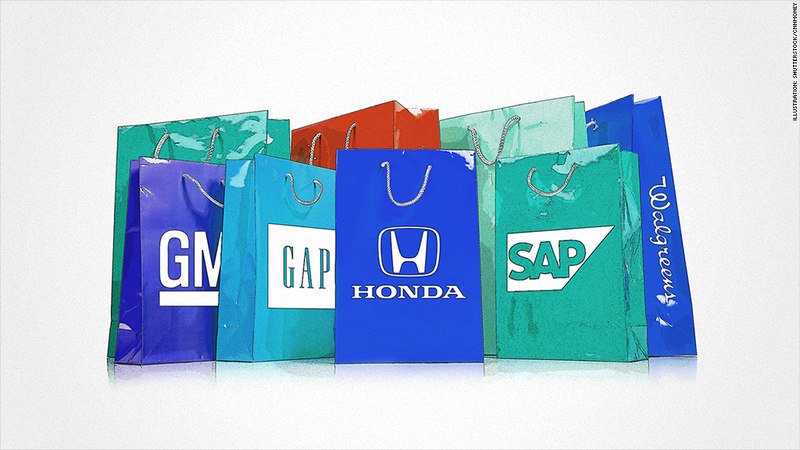 Several auto-related companies popped up, including major carmakers GM (GM) and Honda (HMC). A couple of parts makers also met all my criteria: Johnson Controls (JCI), Magna International (MGA) and BorgWarner (BWA). This makes sense. Despite serious economic problems in Europe, the automotive industry should continue to do extremely well in the United States. Sales are strong and if gas prices keep plunging, that could help make trucks and SUVs more popular as well. 2) Sifting through the tech wreck: Tech stocks have fallen harder than the broader market -- and many momentum techs should be pulling back because their valuations were, to be blunt, absurd. I'm looking at you Netflix (NFLX), Amazon (AMZN) and Twitter (TWTR)! But several tech stocks that are not trading at 2000 dot-com bubble levels look attractive. 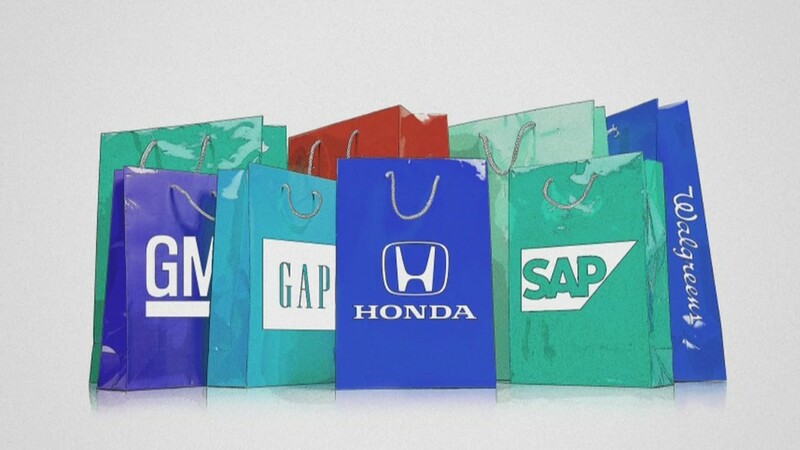 SAP (SAP) is cheap and remains a powerhouse in business software. And two companies that should continue to benefit from the mobile revolution are flash memory chip company SanDisk (SNDK) and Gorilla Glass owner Corning (GLW), are definitely bargains right now. 3) Check out the retail bargain bin: Drugstore king Walgreen (WAG) is a great value right now. Investors seem a little too concerned by the fact that it wasn't able to lower its tax bill with its acquisition of European pharmacy chain Alliance Boots. Two other well-known retailers made the cut. Gap (GPS) and Best Buy (BBY). 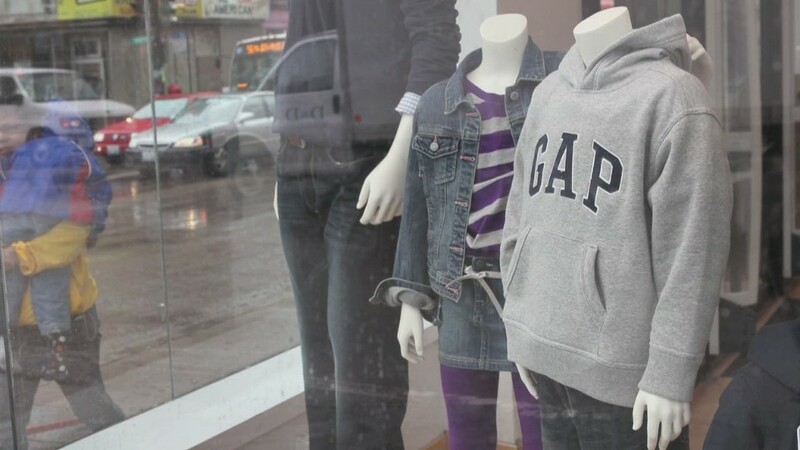 Investors may be overreacting to the news that the Gap's CEO is stepping down next year and that sales hit a rough patch lately. As for Best Buy, I'll readily admit the company still faces tough competition from the likes of Amazon and Wal-Mart (WMT). But Best Buy is not RadioShack (RSH). The company actually has a successful turnaround strategy in place. Profits are growing after all. The stock got ahead of itself last year and now appears to be reasonably priced as investors recognize the risks. 4) Black gold: Yes, crude prices have plunged. But the sell-off in energy stocks appears to be massively overdone. So it's no surprise that many leading oil companies are on the list. Oil services titan Schlumberger (SLB) looks attractive. Ditto for shares of Chinese energy giant PetroChina (PTR) as well as big U.S. refiners Valero (VLO) and Marathon Petroleum (MPC). Now does this mean that these stocks are guaranteed to go up in the next few days or weeks? Of course not. The broader market sell-off may not be done yet. But investors (not traders) looking to scoop up blue chips for the long haul should be salivating right now: 20% off sales like this don't happen that often. Reader Comment of the Week! Why do I heart Twitter so much? Because there are tons of smart people using it. I often find great story ideas there. Case in point. Aaron Levitt tweeted this to me Wednesday afternoon. "Everyone keeps forgetting that 2011 was a down year for stocks. Started off great, finished in the red." I remembered that 2011 had that nasty correction. But I forgot it was so bad that stocks actually went down that year. And that inspired me to write a piece about how this stock slump is a lot more like 2011 than 2008. So thanks, Aaron! But I wonder what you are going to do after the next Fed meeting? The "Keep Calm and Taper On" background image on your profile page is going to need to change!